Synopsis: Mark is a disgraced arm wrestling champion who was adopted by an American family when he was a boy. He’s a bouncer at a club and befriends a Korean sports agent named Jin-ki, who has a knack for schemes to make money from any situation he’s in. 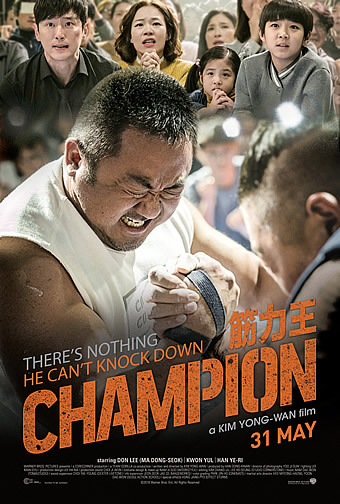 Lured by an arm wrestling tournament in Korea and Jin-ki’s scheme to make a fortune from it, Mark comes back to his native country for the first time in 30 years. When he arrives, Jin-ki gives him his biological mother’s address. 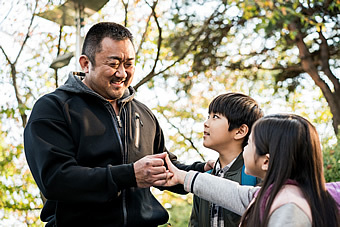 Hesitant at first, he goes to the address and is united with a sister he didn’t know existed and embraced by a new family, he prepares himself to make a mark on the tournament. 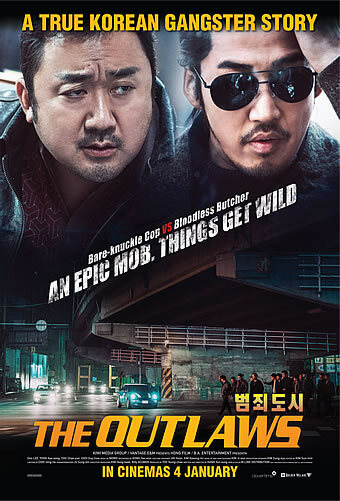 Plot unfolds in a super-charged bar based in L.A. where Mark (Ma Dong-Seok aka Don Lee) minds his day as a bouncer and a platinum-haired Jin-Ki (Kwon-Yool) drags him in to be part of an ego-inspired arm wrestling bet. And Mark (Ma) renders his true form and beats down his Caucasian counterpart, much to the dismay of his white boss. And after a volley of punches and swearing, the setting relaxes into a contrasting scenario at a hyper-mart where Mark (Ma) works as a security officer greeting people and carrying those big shopping bags, feeling rather despondent. Six months forward, Mark (Ma) receives a call based on a betting plea from the over-enthusiast, Jin-Ki (Kwon), who beckons him to Korea in the pretext of a rig but in reality, Jin-Ki (Kwon) wishes to turn his life around by using Mark ((Ma) as his money-maker. Trustingly, Mark (Ma) too flies over to gain ownership of his glory, only to discover long-lost relatives. He then starts uncovering woeful secrets of his unresolved childhood amidst Jin-Ki’s (Kwon) dicey bet-setting endeavours. 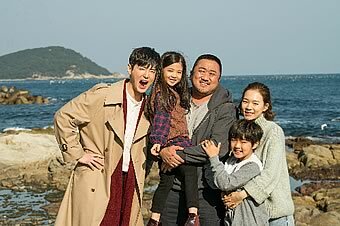 Mark’s (Ma) alleged step-sister Soo Jin (Han Ye-Ri) along with her two kids, affectionately referred to as the “June-Bugs” (since they are named as Joon-Hyung and Joon-Hee respectively), play the pivotal roles. They help Mark (Ma) fathom out his late mother’s predicament at that point in time when she had to abandon him as a child. Along the way, many other supporting characters such as Combo (Kang Shin-Hyo) and Punch (Lee Kyoo-Ho) with Mr Yoo (Yang Hyun-Min) as the nemesis with a comical laughter throws in curveballs into the plot, making it an endearing 108 minutes. Kim Yong-Wan, the 37-year-old has directed Champion, his first ever feature film backed by Warner Bros with three other films that add up to his portfolio. Clever choice of cast as Ma, the multiple-award winner who sports a chastened crew-cut, nails it with his commanding, pugilist physique and the Sly Stallon-ish lazy eye movements in this titular role. Ma’s rendition as an adoptee also grazed some social issues besides just delivering punches, kicks and blows. On top of knocking down some baddies in the film to protect his new-found relatives, Ma also takes credit for co-scripting this comedy. The 47-year-old thespian raised in the States, is also expected in Bearand Raging Bullslated to be released later this year. Kwon, the chocolate boy of Korean rom-com sitcoms did justice to his role as an amateur agent who has the patience of a saint and a twisted mind of an imp. 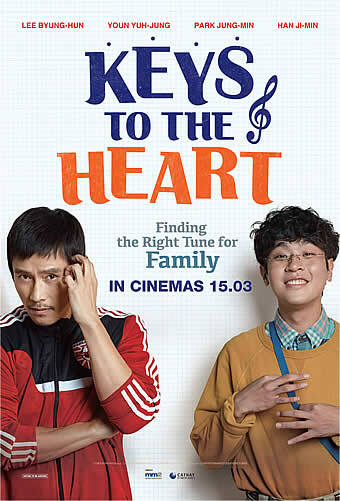 Han who predominantly acts in indies and short films made an ideal pick as a distressed widow and mother to the two kids, Choi Seung-Hoon and Ok Ye-Rin who are smart, enduring and funny.